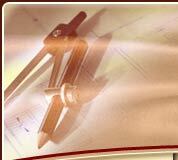 A GREAT SOURCE FOR CUSTOM MILLWORK SHOP DRAWINGS! Send a copy of the Architectural (or owner provided) drawings, Specifications, Addendums, Scope of Work and Pertinent Documents required for detailing of Shop Drawings. Include a sample drawing detailing your standard construction methods, drawing layout, company logo, title block …etc. Specify your standard hardware and verify that it will be used on individual project to be detailed. Drawings will be detailed to meet your specific requirements, such as drawing size (“D” size being the Millwork Industry Standard), preferred scales, extent of detailing and construction method.